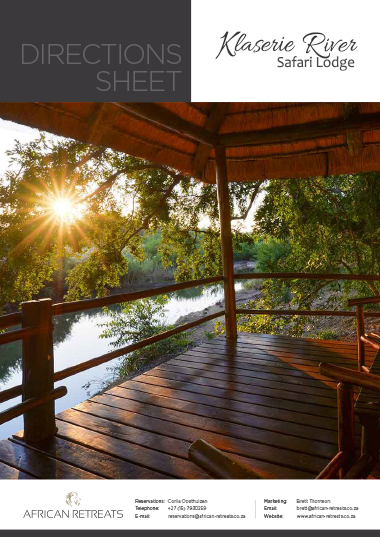 Klaserie River Safari Lodge is located in a private game reserve in the Greater Kruger area and is built on the banks of the Klaserie River. 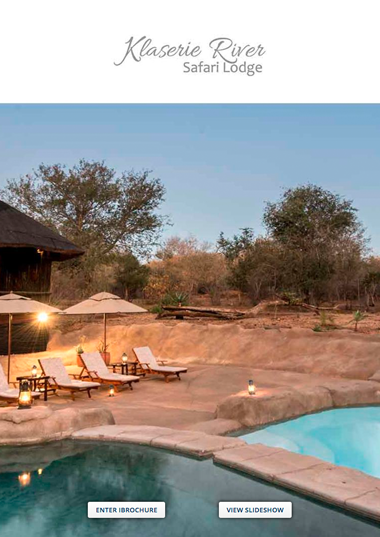 Klaserie River Safari Lodge is located in a private game reserve in the Greater Kruger area, right on the banks of the burgeoning Klaserie River. This highly acclaimed region of South Africa is on the doorstep of the Kruger Park, the Blyde River Canyon, and the Panorama Route, which are some of the country's greatest attractions. Riverfront chalets are blissfully private and overlook the glistening waters which are lined with lush reeds and tall riverine trees. 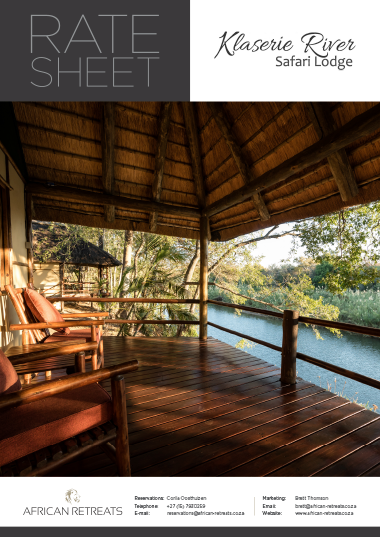 A vast array of life is drawn to the river, from hippos to kingfishers, you never know what you may see from your riverfront balcony. 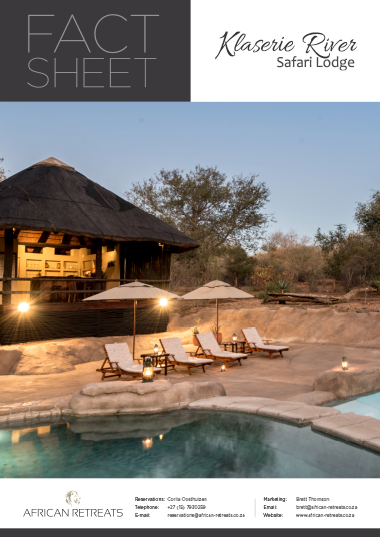 Game drives take place in the revered Big 5 Thornybush Game Reserve and include a drinks stop at sunset, while bush walks are conducted on Klaserie River Safari Lodge’s private property. Within day-trip distance is the Kruger National Park (Orpen Gate), the Panorama Route, Blyde River Canyon, various endangered species centres, and thrilling outdoor activities. The town of Hoedspruit is only 26km away and the local Eastgate Airport is only 16km away, making the lodge very easily accessible. Self-driving guests should be advised that while a sedan 2WD vehicle will suffice, an SUV-style 4WD may be more suitable for the journey.